Harvestmen, or daddy-longlegs, of the order Opiliones, are in the class Arachnida with spiders but are not true spiders. 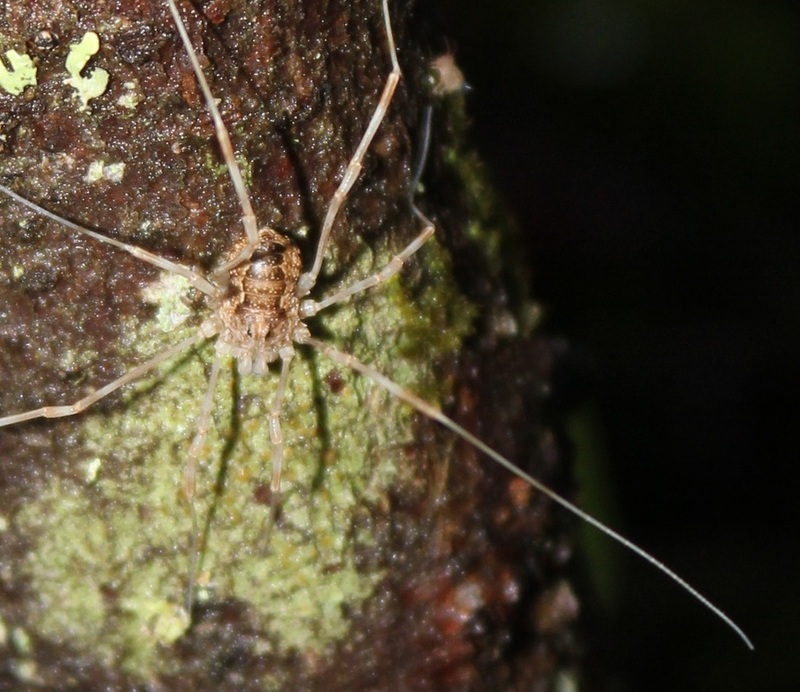 Unlike true spiders, harvestmen have one body part and only one pair of prominent eyes. They lack venom and spinnerets as well. For protection harvestmen emit an odor from special stink glands that makes them distasteful.